Inviting guests over for fall and winter parties, events, and holiday festivities might be your favorite part of the season, but your plumbing probably doesn’t agree. The more people in your home, the more your plumbing system can struggle to process the extra volume. 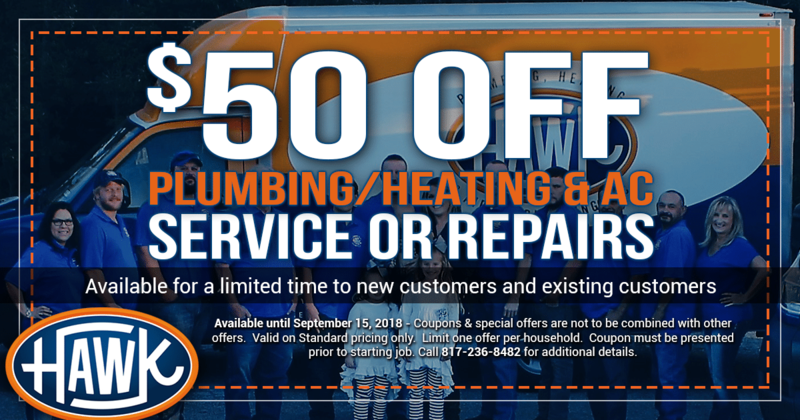 The end of summer is the perfect time to check your plumbing, schedule maintenance, and invest in repairs – before increased traffic can cause serious plumbing problems. When’s the last time you had a plumber inspect your system before you experienced a problem? That’s right – plumbing services aren’t just to correct issues, but to prevent them. Schedule routine maintenance and pipe cleaning before hosting an event to make sure your system is in optimal working order. Hawk Plumbing can come to your home, inspect for potential issues, clean and flush your system, and make sure your home is ready to welcome guests. Fall is a great time for new appliance installations and replacing old, outdated plumbing parts. Older toilets can waste gallons of water per flush, while old pipes and fixtures might be leaking water and wasting energy. Resolve these problems before adding extra traffic in your household for the most benefit. Discuss your options for modernized and efficient plumbing solutions to replace dated systems in your home. One of the most common problems during parties is too many people flushing things that shouldn’t go down the drain or toilet – resulting in a major clog and possible overflowing. Take care of your pipes by telling your guests what they can and cannot flush. Post a laminated sign by the toilet asking guests to kindly refrain from flushing moist towelettes, dental floss, cotton, feminine products, and any other items that could cause a clog. Even the best-laid plumbing plans can go awry. Keep our phone number – (817) 236-8482 – handy in the event of a plumbing emergency during a holiday party at your home or business. Our team can inspect your plumbing, spot the need for repairs, and recommend services according to your needs and budget. We’re also available for 24/7 emergency services in Fort Worth, Texas – even during holidays and weekends.